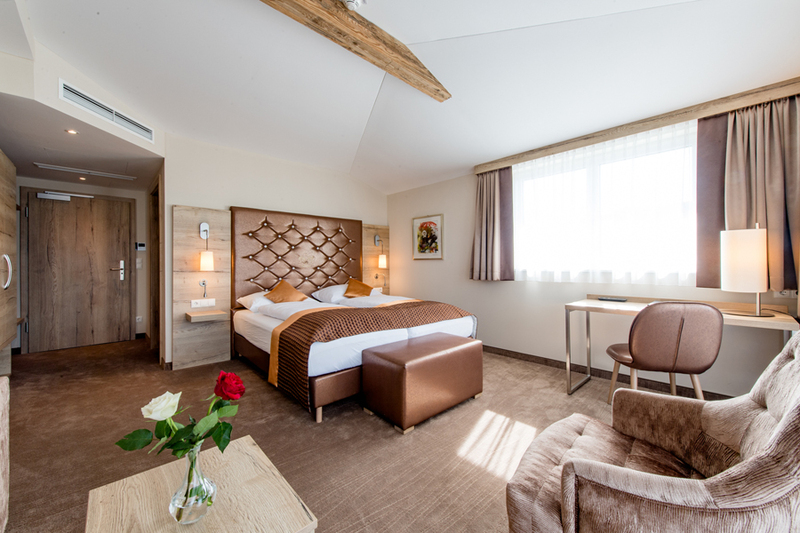 Warm colours, plenty of wood, even more space and top comfort – all this awaits you in our modern double rooms as well as the family-friendly suite. Secure your favourite room now! All year round, the Mondseeland region is worth a holiday. Follow your desire for mountains, blue lakes and picturesque little towns, where hospitality and comfort are part of everyday life. 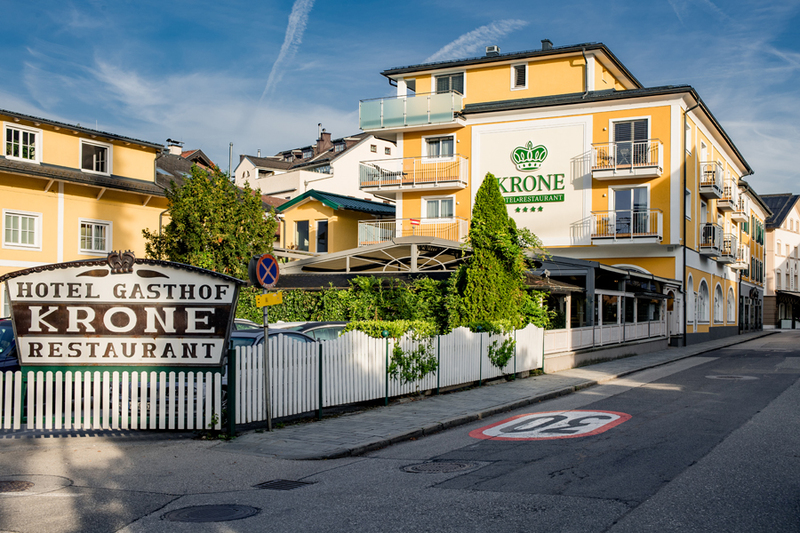 You will find your holiday home with the Hütter family in the 4-star Hotel Krone, directly in the centre of Mondsee and near to the lakeside meadow and lake promenade. Another interesting point of the 4-star Hotel Krone is its proximity to Salzburg. 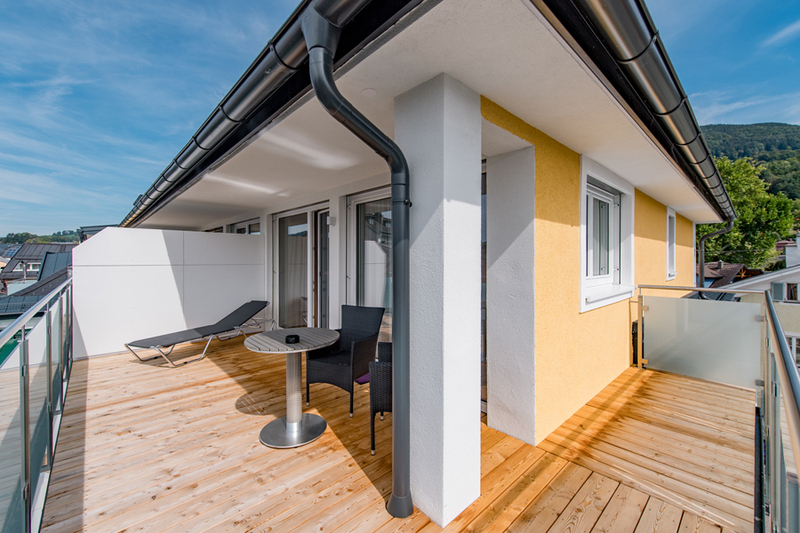 Whether you are travelling through the Salzburg region, are a business guest looking for accommodation outside of Salzburg, or want cosy living quarters for your travel group, in the idyllic Mondseeland, you will spend plenty of relaxing hours and just 20 minutes away from Salzburg at that. 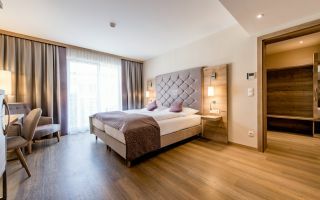 30 comfortable double rooms with breakfast greet our guests in the Hotel Krone. What's more, we also have a spacious suite with terrace, perfect for families and more demanding guests. In the restaurant, we spoil you with top Austrian cuisine and specialities from the Salzkammergut. Numerous top-quality regional products make every dish a culinary delight. Find out more about the creative dishes offered on our menu! The highlight is the large outdoor dining area, where you can spend wonderful hours in the fresh air in summer. In addition, weddings and all kinds of functions receive a very special, elegant setting in the restaurant – feel free to send a request to reserve the date for your function! In the diverse surrounding area of Mondsee, active holidaymakers will be spoilt for choice: water sports such as sailing, surfing, kitesurfing, rowing, waterskiing or diving are just as fun as countless hiking and climbing routes, mountain biking, cycling and motorbike tours. In winter, there are several ski and cross-country skiing resorts nearby, and winter fans can experience the landscape on long winter hikes and walks. Culture fans will also be happy in the Mondseeoland. Above all, the Salzburg Festival, as well as regional events such as the Mondsee Jedermann will provide intellectual delights during your holiday in the Salzkammergut. Enjoy your holiday among the Salzkammergut lakes, extensive nature and high mountains in the Mondseeland! The Hütter family looks forward to receiving your booking or non-binding request!